Welcome to Mom to the Core! This class is developed to help moms in all walks of life! Pregnancy takes a huge toll on the body, and if not taken care of, can lead to chronic pain in the future. 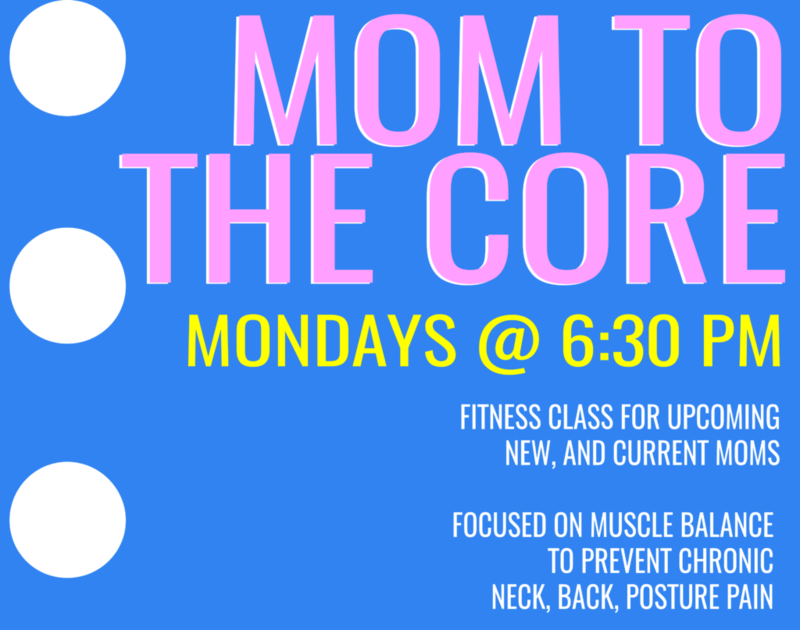 The class will help strengthen and condition everything a mom needs from core weakness due to diastasis recti, back pain from an unstable pelvic floor, to stabbing mid back pain from hunching over to take care of the baby. The class includes exercises focused on strengthening with proper form. Exercise is SAFE during and after pregnancy – Here are some articles for if you unsure on if it is safe for you to exercise but of course, consult with your doctor first! Benita is a functional rehab specialist at Valley Active. She has worked with people on everything from chronic neck pain to ankle sprains. She previously worked as a gymnastics coached for many years and is very familiar with teaching in the group setting as well as multitasking when teaching. She is a Virginia Tech alum, ACE Certified Personal Trainer, and Oh Baby! certified instructor. She is excited to help mothers feel comfortable in their body again! We prefer you sign up prior to attending but walk ins are welcome depending on spot availability! Limited Spots available – Sign up today !